She is extremely delicate, partially paralysed, and her doctor told her that she should practically live in the open air. Being of an active and practical mind she set to work to see how she could, within her means, carry out the drastic requirements of her medical adviser. She joined the Caravan Club, and all the assistance, in the way of pitches and introductions, was of course afforded her. 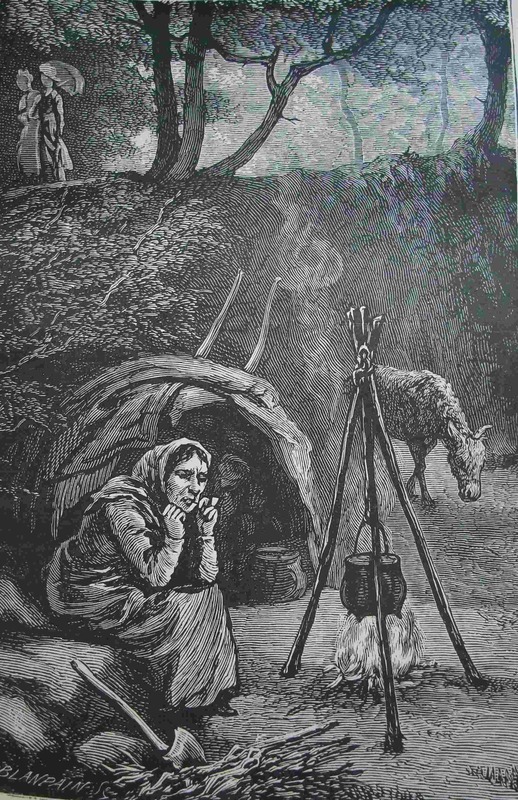 Her desire was to take to the road and live altogether in the open air in rural parts of the country. 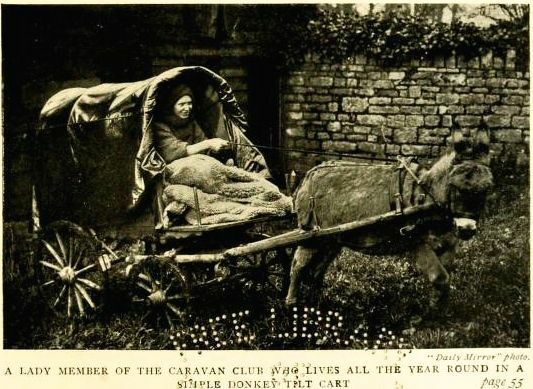 Her cart—it can scarcely be called a caravan—she describes as “strange and happy-looking.” It is four-wheeled, rather like a trolley, and painted bright blue, with a yellow oilskin hood—something like a brewer’s dray in shape. 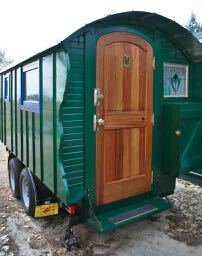 Beauty in a caravan is in the eye of the beholder. 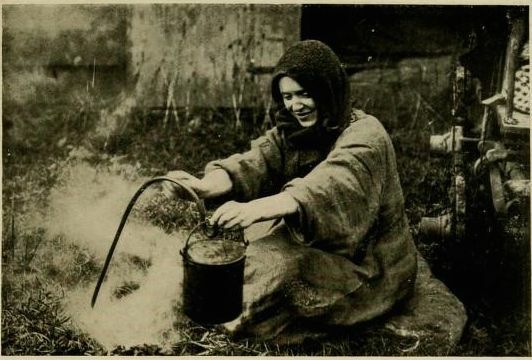 Cooking over a campfire with the ubiquitous fire hook. What a courage s woman 🙂 thanks for sharing her story! It’s all about the math: Zero wants results in unlimited means! For years I had a plaque on my office wall that read, “I require nothing” to help me remember that so much of what we think we need is really just junk and clutter — anchor chains on hearts and minds. I do like this reminder…..Thank you! Jennie, it is a touching story. I wish I knew what became of her. It is from this book, available for download. George Gypsies and Gentlemen is the one I was thinking of. But the pic I am trying to find is another. I will find it.